It is so important – and can be soooo hard – to create a good-looking resume. Its purpose is obviously persuasive, and it’s important to put time and energy into creating a document that highlights your achievements succinctly, directly, and is customized for the position you want. With all that pressure, it can be hard to flatter your strengths in the direction of strangers… and it an be overwhelming to think about exactly how to say what you’ve done and why that matters. Whether you’ve recently graduated, had a long break from the workforce, or changed careers, I can help you arrange and document your relevant skills with professionalism. Let’s work together toward fleshing out your paid and unpaid life experiences into words an employer will appreciate. 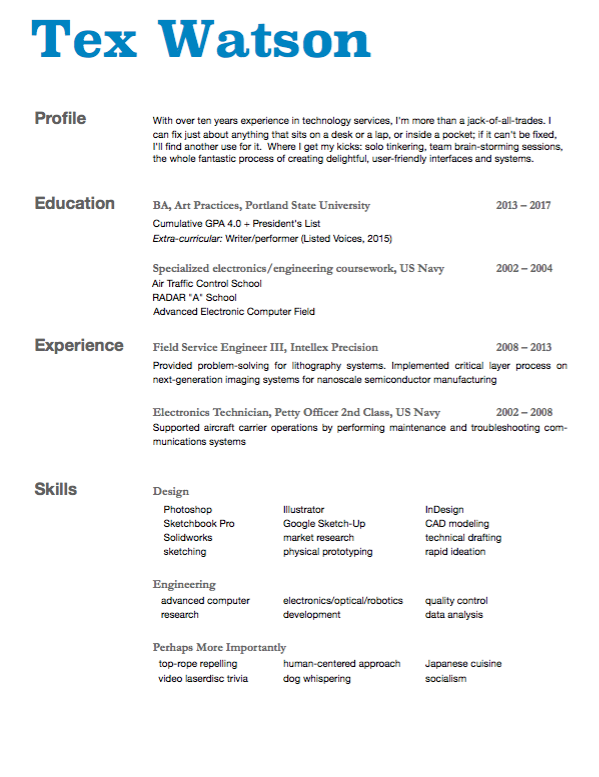 I’m a total geek about resumes, and would love to help you with creating a dynamic document specifically tailored for you and your ambitions. The process differs from person to person, but generally we’ll meet for one fifty-minute session to discuss your goals, flesh out your skills sets and experiences, and go over potential strategies. (Heads up: I’ll be pretty firm about keeping things succinct, and minimizing your bullet points.) At our next session, I’ll bring in a finished draft (I bill for about an hour’s time working on this draft outside sessions) and we’ll finalize any changes. 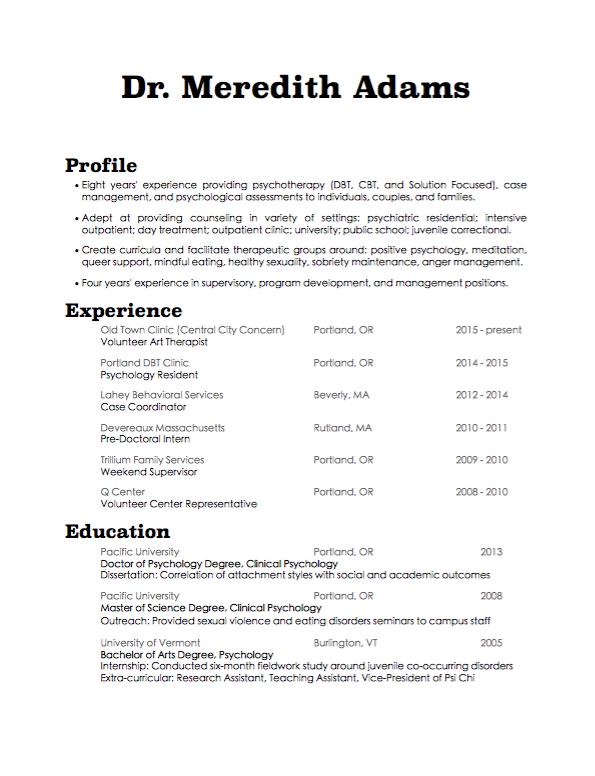 For examples of my work in resume preparation, click below.